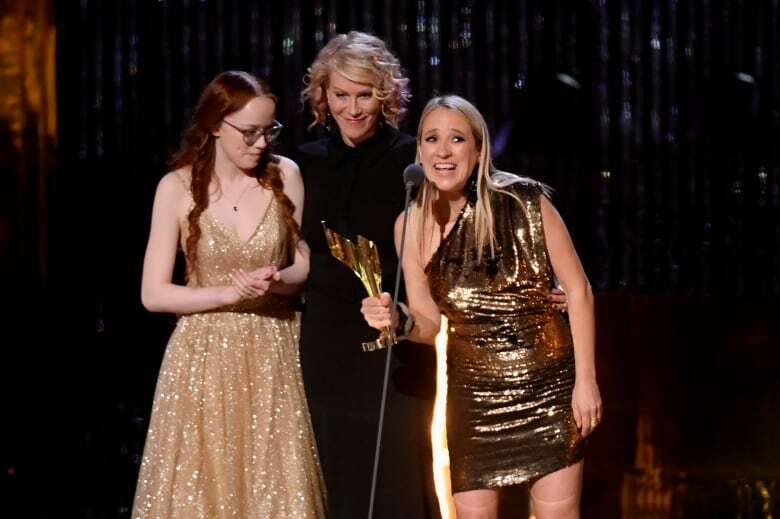 A new wave of Canuck talent shared the stage with industry luminaries at Sunday’s Canadian Screen Awards gala, which honoured current creators shaping the industry and paid tribute to Cancon trailblazers. The relatively speedy two-hour broadcast ceremony — the culmination of nearly a week’s worth of celebrations — awarded trophies in the remaining, high-profile cinema and television categories. As well, a quartet of special honourees were feted for their career achievements. Here’s a peek at a few notable moments from the night. Rising Canadian star Stephan James might have had a stellar year after starring in the Oscar contender If Beale Street Could Talk and earning an Emmy nomination for Homecoming. But the inaugural winner of the CSAs new Radius Award had his mind on those who might be coming up behind him. As the entertainment industry grapples with gender balance and increasing representation, a factoid off the top of Sunday’s ceremony was notable: 60 per cent of the night’s film nominees were directed by women. The awards show itself had an all-female writers’ room and was also directed by women. So, it was icing on the cake when, throughout the night, trophies were hoisted again and again by female filmmakers and creators, including for best motion picture (Geneviève Dulude-De Celles, Fanny Drew and Sarah Mannering for A Colony), best feature film director (Jasmin Mozaffari for Firecrackers), best documentary (Jennifer Baichwal for Anthropocene: The Human Epoch) and best dramatic series (Moira Walley-Beckett and Miranda de Pencier for Anne with an E). “I think I’m one of the few women to win this award. I don’t think I’ll be the last. Just watch,” Mozaffari defiantly noted as she accepted the directing award for her debut feature, the microbudget film Firecrackers. 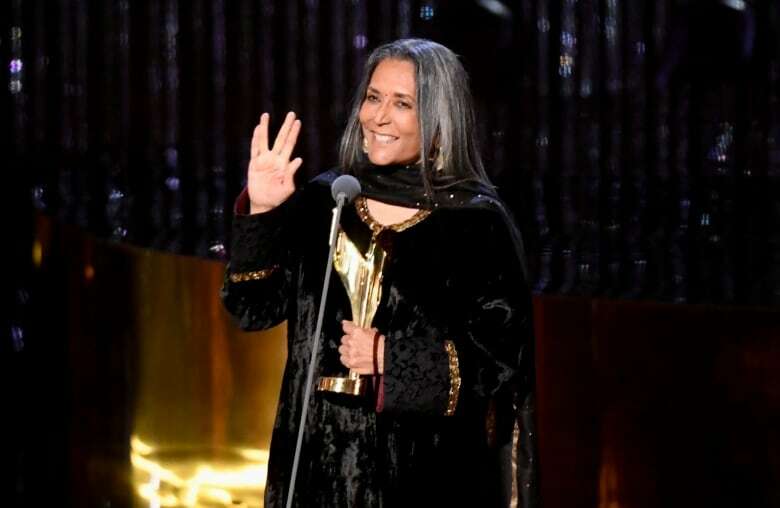 Meanwhile, lifetime achievement award-winner Deepa Mehta shared a litany of labels she’s faced through her career (which remains bustling as she completes upcoming work for Netflix, Apple TV Plus and a new feature film). “I have been described as a controversial filmmaker, a feminist filmmaker, a lesbian filmmaker, an anti-war filmmaker and a terrible filmmaker,” Mehta recalled. “But one common theme in my work is tolerance and understanding and accepting of the other,” she added. Never doubt the power of a motivated fanbase, especially when you’re talking about supernatural Western Wynonna Earp. As they campaigned for weeks under the hashtag #FightforWynonna after production of the show’s fourth season was halted due to financial challenges for its producer, fans also vaulted cast members Dominque Provost-Chalkley and Katherine Barrell through four rounds of voting into the finals of the CSA’s audience choice honour. Just ahead of the ceremony, a choice tweet from show creator Emily Andras further rallied followers. Was there ever a doubt that the Earpers would prevail? When Provost-Chalkley won, she invited Barrell onstage, explaining to the audience that her co-star had “sneakily” taken herself out of the running by asking fans not to split the vote. “We have the most incredible fan base of the most inspiring, beautiful human beings that are fighting for so much more than just a show. They’re fighting for their right to positive representation, they’re fighting for girl power and so much more. This is for all of you guys,” Provost-Chalkley said onstage. Speaking to reporters afterwards, she added that Wynonna Earp has been life-changing not only for fans, but for herself. The ceremony continued the general love-in for Schitt’s Creek and the quirky and inclusive world it depicts, since creators Daniel and Eugene Levy recently announced the hit show would end after a forthcoming sixth season. “I’m ever so grateful to Eugene and Daniel Levy for creating a hilarious comedy that celebrates the sweetness of love. 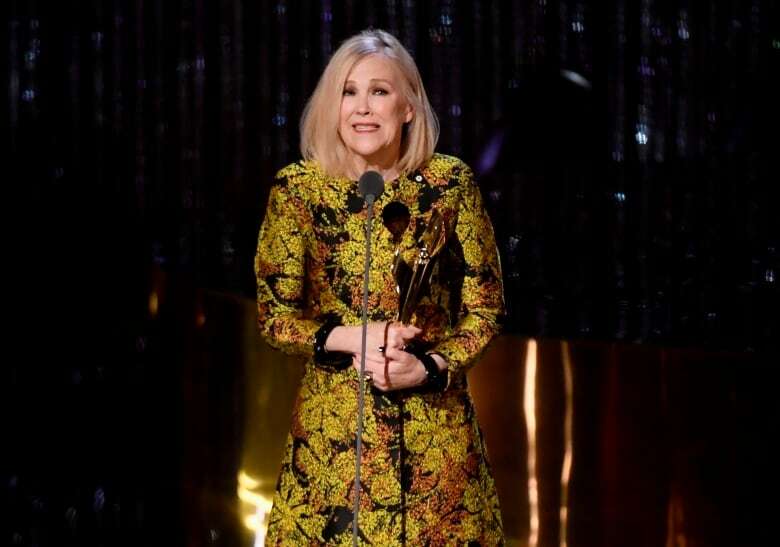 I’m so proud to be part of a show that laughs at the ridiculousness of what we are without malice or homophobia or racism or ageism,” Catherine O’Hara, greeted with a standing ovation, noted as she accepted her fourth consecutive CSA trophy for her turn as Schitt’s Creek matriarch Moira Rose. Dan Levy expanded on the theme when the show won best comedy series. “In Schitt’s Creek, we are writing a world that examines the transformational effects of love when the threat of hate and intolerance has been removed from the equation,” he said.